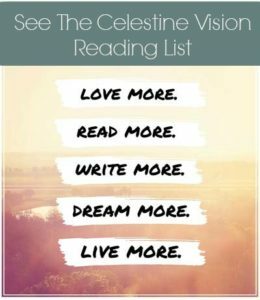 The first time I read the Celestine Prophecy, it felt like magic. Something I could grab onto to make sense of this life that seemed so bewildering. The concepts of energy being visible and shareable, of people developing spiritual control over our own lives, was completely new to me and more exciting than anything else I had come across. I was the type of kid who asked anyone and everyone, ‘Why are we here? What is the meaning of this life? What is the purpose?’ Finally I had an answer. Overjoyed, I took this new found information to the adults in my life – parents, teachers, siblings. The people I had questioned for as long as I could remember. And I was shot down – told it wasn’t real. They weren’t being mean; it was just that I came from a world where very little was believed in. As children we had no religion, no real guidance from anything beyond the systems we participated in. So this energy world became my unattainable, unrealistic dream. Too good to be true, yet too good to let go of. It stayed with me, quietly guiding me and making me question everything around me even more deeply. I became divided within myself, unsure of my intuition and abilities, yet unable to deny that there was something more to life than I could see being modelled by the adults around me. When I became ill as a young adult, I sought help from the systems we’re told are the ‘Authority’. And there, I found further pain and suffering. 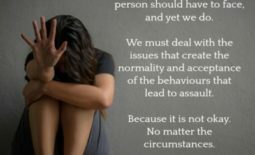 I was unable to find healing, and instead became further traumatized and isolated. Eventually I gave up on finding help through traditional methods and turned to alternatives, only to find that I couldn’t quite believe in what I found there either. I was caught between two completely different world views and being so uncertain, couldn’t give myself over to either. I didn’t trust anyone or anything. Along this lonely journey, I came to the conclusion that there is no one-size-fits-all answer. That there is no one who knows the truth of our dynamic beings, and that we are all simply doing the best we can – offering others the knowledge we’ve acquired from our limited experiences. With this as my baseline, I began to study. I spent years trying different healing modalities, integrating or discarding them as I went. Proving them or disproving them correct for me with my body and emotions. And then, finally, it all came together. The bits and pieces clicked into place and I was free of the internal conflict that wasn’t rightly mine to begin with. I was able to embody the self responsibility that would allow me to be my own advocate and healer. My unattainable dream of myself as an Energetic Being became my reality. It was such a relief. While wellness is a lifelong process, and I still believe there are no right answers as every being is different, my own healing path has been found in the very energy that I was once almost convinced wasn’t real. Our energy, our chi, gives us life. It is what animates us, and while this belief has been an intricate part of our global history, it was not popular in western culture until recently. Now that energy fields and meridians are being found and mapped with technology, even the most skeptical among us can celebrate this wonderful piece of ourselves, rather than denying the existence of the very foundation of our beings. As we embrace our energetic selves, we can tap into a power that we barely dared imagine. Not just our own but from the Universe. And thanks to the abundance of knowledge we now have access to, learning to work with our energy has become easier than ever. We can take charge of our health, working to heal ourselves by tuning into the subtle warnings within our energy bodies, rather than waiting until our physical bodies are screaming for attention. When we address difficulties as they arise in our energies, we allow them to realign as they happen, becoming happier, healthier, and more resilient. We move from getting by on auto-pilot into fully living our lives, and relaxing into ourselves. By adding practices such as meditation and gratitude journaling, we open the path for our souls, allowing inner wisdom and guidance to come through clearly on a regular basis. Our lives get so busy and full of chaos that we forget that there is more to us, these practices help us not only to slow down, but to remember who we are at a deeper level. And when issues do come up, whether energetic, emotional or physical, we can realign and keep our energy flowing using movement tools such as yoga, walking in nature, and other energy medicine sequences, or by working on our meridians and acupressure points using modalities such as EFT (tapping). An abundance of health care exists within us already, and the more we use it, the more in tune we become. These different forms of energy medicine have amazing results and can keep us from falling into the trap of looking for purely external cures. And if we are ever in a position to need medical treatments that can cause unwanted side effects along with the healing they offer, energy healing modalities offer extra support. Most of all, realize that a lot of health problems arise from a general lowering of our energy, resulting from a lack of inspiration. Nothing increases our energy more than synchronistically telling our stories to others in a helping way. And, working together using energy healing practices can heighten the profound effects for ourselves and others. No one else should be in charge of our energy, our bodies, or our wellness. 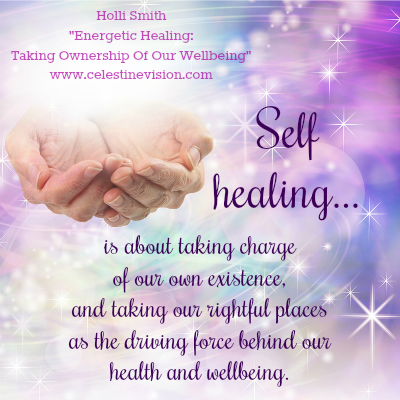 Self healing is about taking charge of our own existence, and taking our rightful places as the driving force behind our health and wellbeing. By sharing what we know, we help keep ourselves, and others, well.